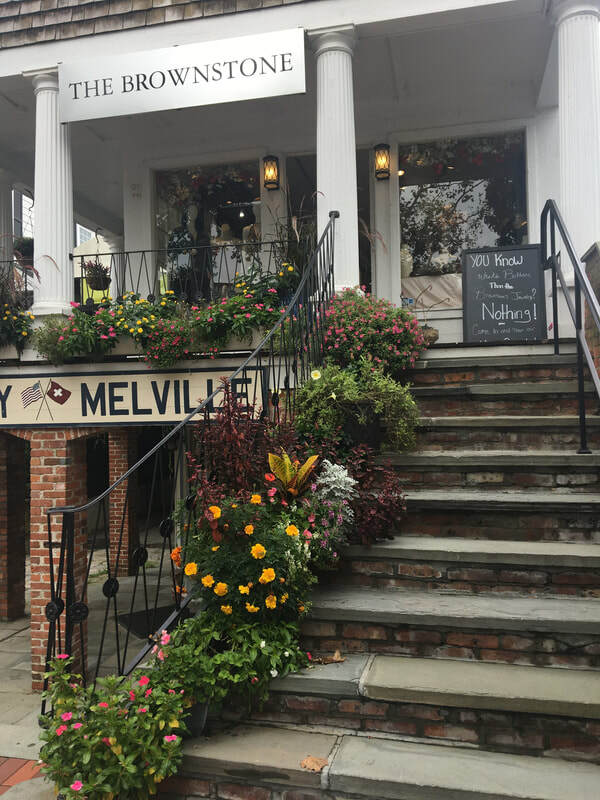 Fairfield Scribes authors Alison McBain, Elizabeth Chatsworth, and Gabi Coatsworth will join local author Roman Godzich in the aptly-named Steampunk Library in The Storyteller's Cottage at 750 Hopmeadow Street in Simsbury, Connecticut. The reading will take place from 7pm-8:30pm. 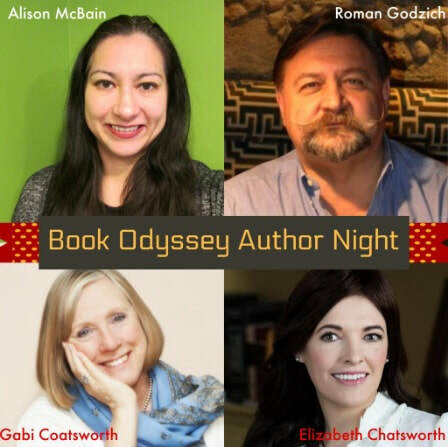 If you love losing yourself in a book about time travel, deep sea expeditions and the world beyond, you must join us for this exclusive author night featuring four incredible Sci-Fi authors! 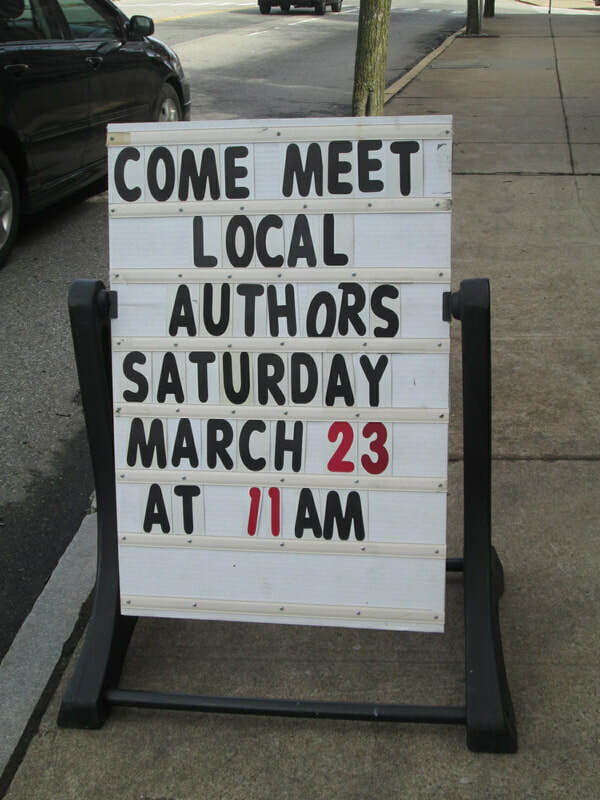 Meet each author and hear readings from their latest books. Signed copies will be available for purchase. Enjoy a light reception after. If sci-fi isn't your thing, don't worry, each author has written several books from other genres as well from romance to history and YA. Who knows, maybe you will discover a new favorite genre! Go HERE to register for the event - there's a $5 cover charge to attend. We hope to see you there! 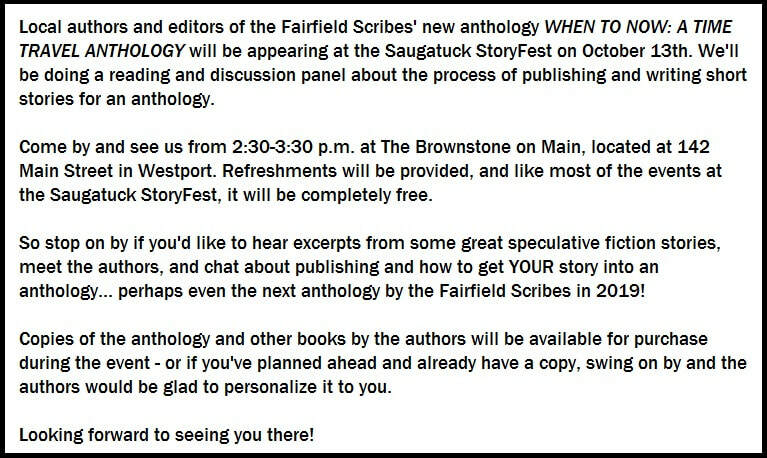 The Fairfield Scribes will be at the Saugatuck StoryFest. 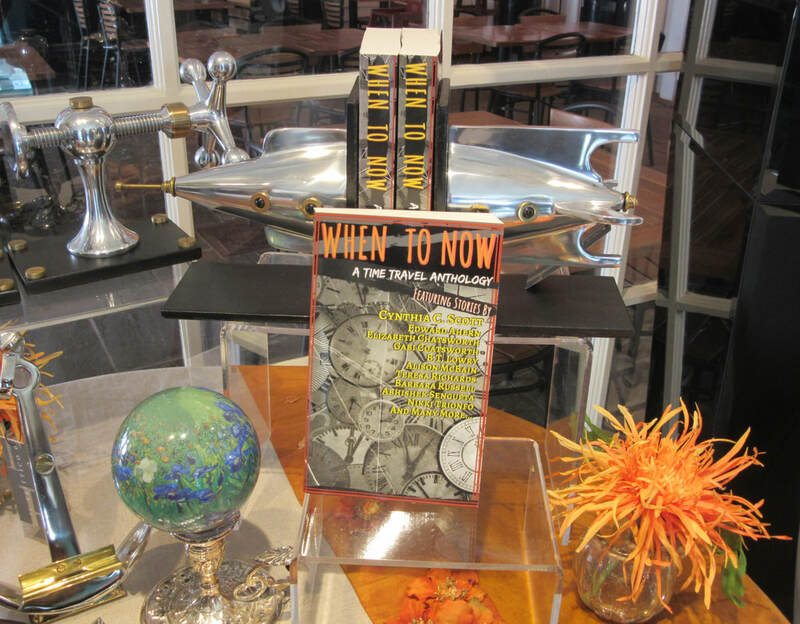 To find out more about the event, check out the StoryFest's events page HERE. 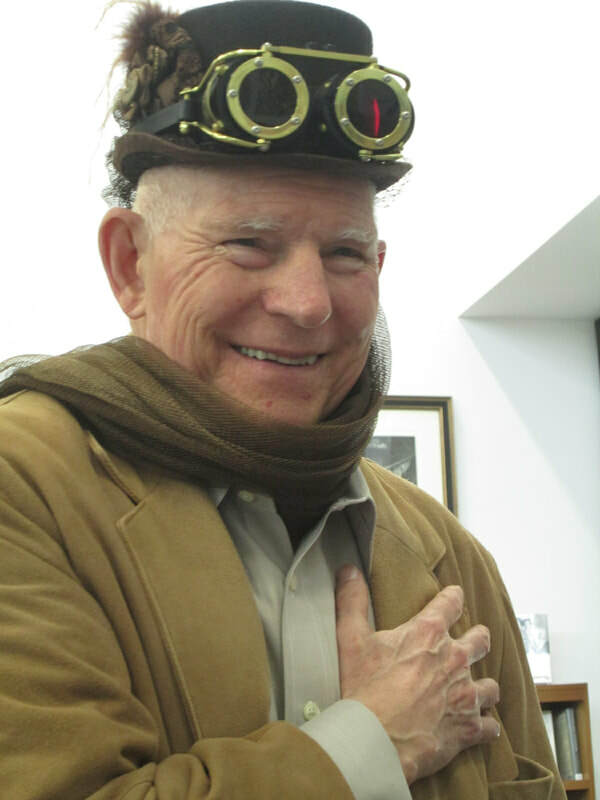 The Fairfield Scribes will be at the Book Fiend ReadersFest. To find out more about the event, check out the ReaderFest's events page HERE. 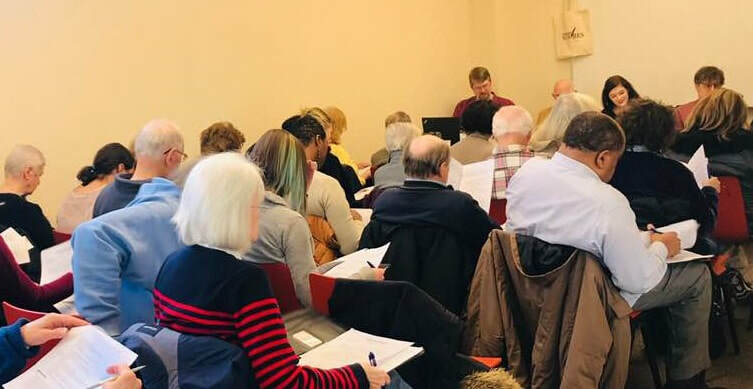 Several of the authors and editors of the Fairfield Scribes, including Alison McBain, Edward Ahern, Gabi Coatsworth, and Elizabeth Chatsworth, will be at the 4th Annual Local Authors Fest, hosted by the Public Library of New London. The event takes place from 11am-2pm on Saturday, March 23. From left to right: Edward Ahern, Elizabeth Chatsworth, Alison McBain, and P.M. Ray. They were also joined at the table by the lovely author Gabi Coatsworth (not pictured here). 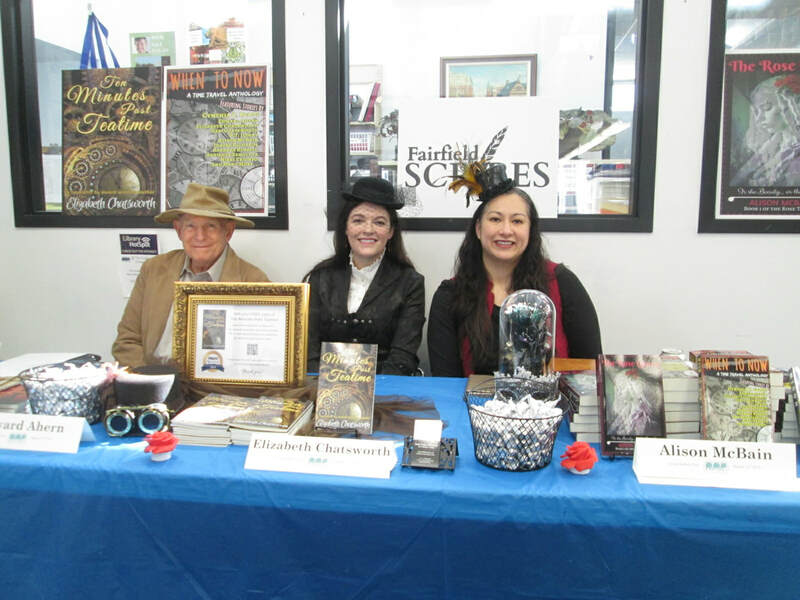 From left to right: Edward Ahern, Elizabeth Chatsworth, and Alison McBain, all getting their Victorian on. 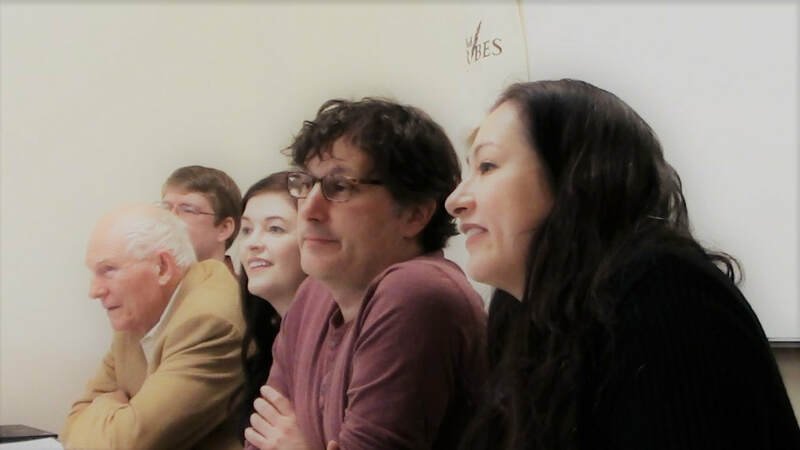 Six writers from the Fairfield Scribes (Edward Ahern, Gabi Coatsworth, Elizabeth Chatsworth, Alison McBain, Robert Tomaino and P.C. 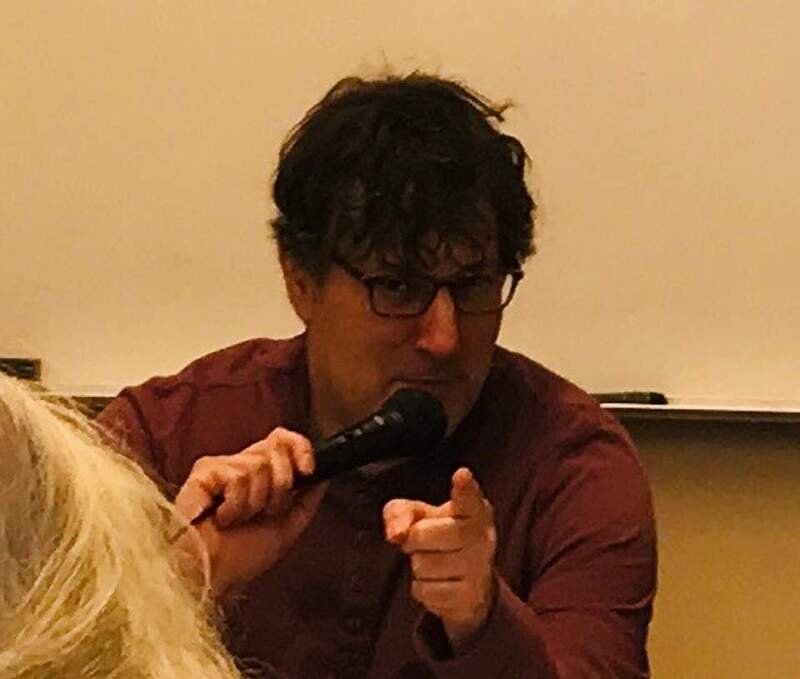 Keeler) will open the day with a panel conversation about the craft of writing short stories. 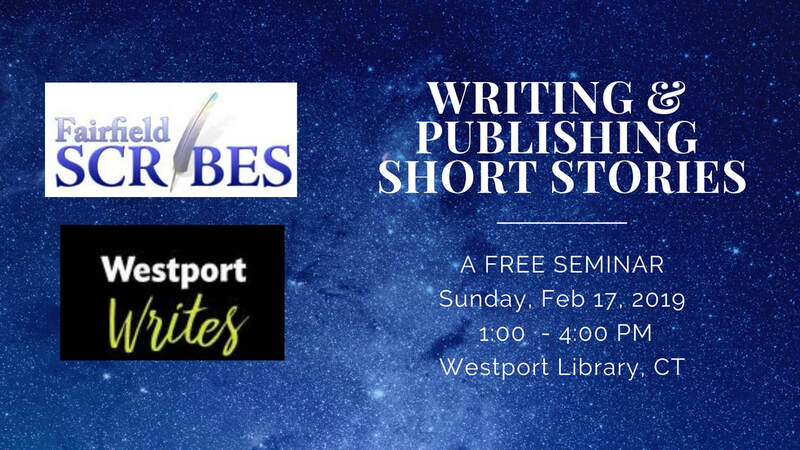 Then, after a break, the writers will lead an interactive workshop focused on how to submit the attendees' existing short stories for publication. From left to right: P.C. Keeler, Alison McBain, and Edward Ahern. 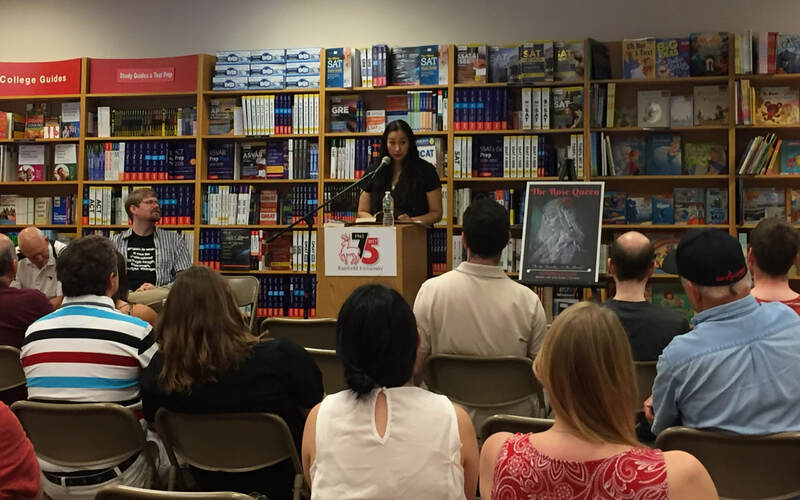 ​Live reading at the Fairfield University Bookstore from three new speculative fiction novels released by the Fairfield Scribes! THE ROSE QUEEN (by Alison McBain) is a YA retelling of the fairy tale Beauty and the Beast, with the Beast as a woman. MIGON (by P.C. Keeler) is a YA science fiction/fantasy crossover set in the far future about a boy who becomes a miniature dragon. THE WITCHES' BANE (by Edward Ahern) follows the adventures of a mystical detective intent on tracking down the supernatural killers of his ex-girlfriend. Come join the authors to hear a reading from each novel and chat about books and writing in general. 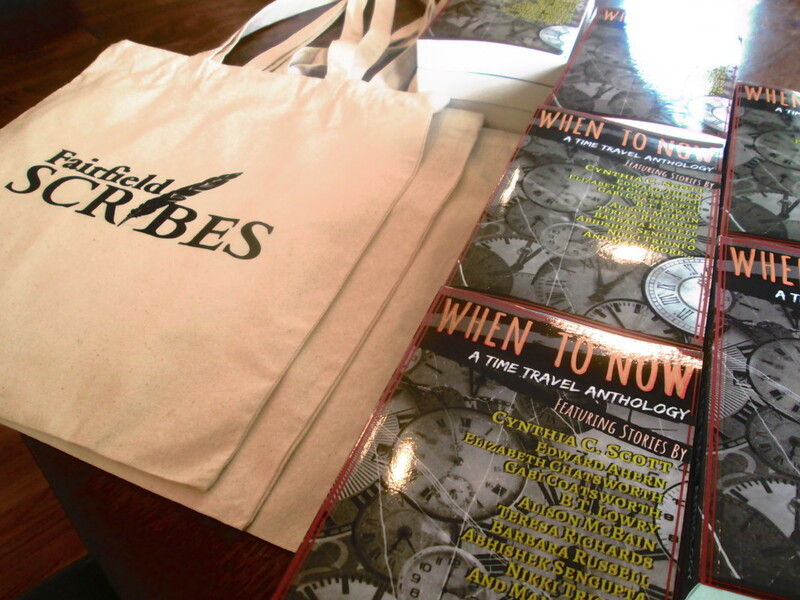 Refreshments will be served, and the first 20 readers to buy a book will get a free Fairfield Scribes tote bag. More info can be found on the Fairfield Scribes' Facebook event page. July 28th, 2018 - from 1-3 PM at the Fairfield University Bookstore, 1499 Post Road, Fairfield, CT 06824. Announcement in the Fairfield Citizen. 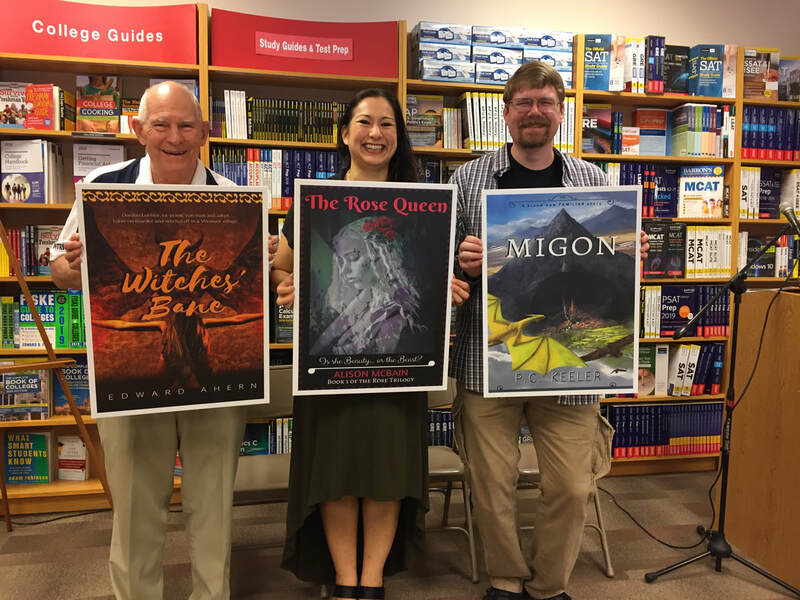 Authors with book covers: Edward Ahern with THE WITCHES' BANE, Alison McBain with THE ROSE QUEEN, and P.C. Keeler with MIGON. Alison McBain reading from THE ROSE QUEEN. Edward Ahern reading from THE WITCHES' BANE.